“Dracarys!” they shouted back, the sweetest word she’d ever heard. “Dracarys! Dracarys!” And all around them slavers ran and sobbed and begged and died, and the dusty air was filled with spears and fire. 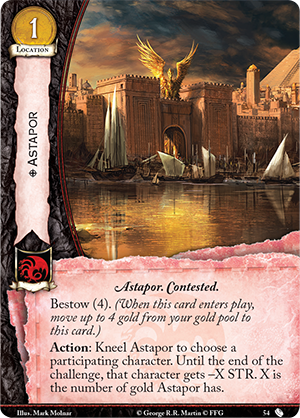 Fantasy Flight Games is proud to announce The Fall of Astapor, the third Chapter Pack in the Blood and Gold cycle for A Game of Thrones: The Card Game! Bloody plots consume the Seven Kingdoms, as once-loyal bannermen turn against the kings that they had sworn to serve. A procession from Dorne marches north to King’s Landing, intent on exacting vengeance against the Lannisters. Robb Stark moves quickly to reclaim Winterfell, unaware of the dark plots being hatched in Harrenhal and The Twins. And on the continent of Essos, Daenerys Targaryen liberates the city of Astapor from the Good Masters and wins an army of Unsullied in the manner of Old Valyria—with fire and blood! The Fall of Astapor is the next Chapter Pack in the Blood and Gold cycle, continuing the saga of A Song of Ice and Fireinto the third volume, A Storm of Swords. 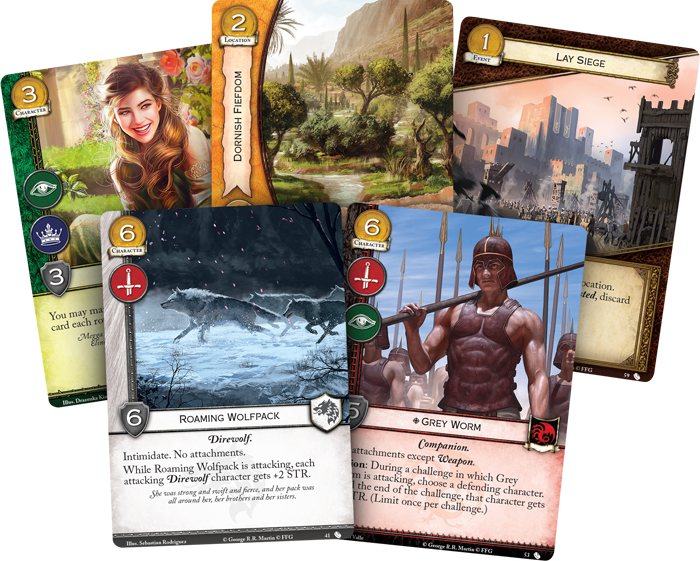 Within this pack, you’ll find more cards focusing on the new bestow keyword, powerful new economy, new ways to spend your gold, and the subtly growing influence of House Frey. You’ll even have the chance to add iconic characters and locations to your deck, including Grey Worm, The Twins, and a new version of Theon Greyjoy. Daenerys Targaryen’s conquest of Astapor is one of the most iconic moments of A Storm of Swords, and equally importantly, it marks the first time that her dragons are used in battle. It’s fitting that the Chapter Pack entitled The Fall of Astapor should offer some of the greatest support for Targaryen burn. In A Game of Thrones: The Card Game, “burn” refers to lowering a character’s STR, and it’s primarily the domain of House Targaryen. Though reducing STR is not inherently lethal, there are plenty of cards to kill zero STR characters, including Dracarys! (Core Set, 176),Plaza of Punishment (Core Set, 173), and Blood of the Dragon (No Middle Ground, 75). 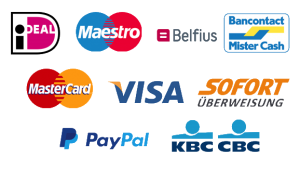 Still, with the exception of Dracarys!, most of these cards only reduce a character’s STR by a small amount. In order to burn the largest, most iconic characters in the game, you’ll need a way to reduce their STR much more significantly. That’s where the two Targaryen cards from The Fall of Astapor come into play. First, you’ll find Grey Worm (The Fall of Astapor, 53), the commander of Daenerys’s Unsullied. Your opponent will soon learn that there are few sights more terrifying than Grey Worm attacking with a Dragon hovering overhead—as a simple Action while Grey Worm is attacking, you can choose a defending character and give that character -3 STR! Even powerful characters like Stannis Baratheon (There Is My Claim, 67) may fear defending Grey Worm’s challenges—combine Grey Worm’s ability with Dracarys!, and nearly any character in the game can be burnt to death. Still, leaving Grey Worm unopposed can be equally dangerous, since his five STR is perfect for playing Put to the Sword (Core Set, 41). And as you might imagine, Grey Worm is even more deadly when commanding a legion of Unsullied (Core Set, 171) in battle. 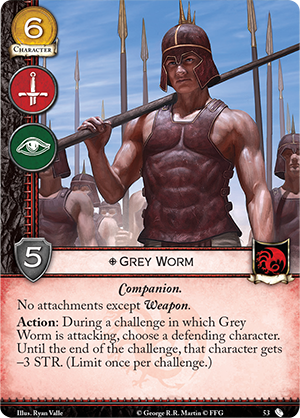 Still, Grey Worm can only burn your opponent’s characters while he is attacking during a challenge, which makes his scope relatively limited. To get the most out of your burn effects, you’ll need a card like Astapor (The Fall of Astapor, 54). The versatility and power of Astapor cannot be underestimated. First, it’s extraordinarily flexible—it can hit any character, so long as that character is participating in a challenge. And it can be used as an Action at any point during the challenge. Astapor also burns away a significant portion of your opponent’s STR. If you’ve fully charged Astapor with four gold, you’ll reduce a character’s STR by four: bringing almost any character within reach of Dracarys!, Plaza of Punishment, or even Blood of the Dragon. 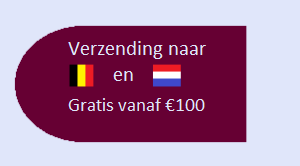 Finally, Astapor is eminently reusable. Rather than a one-shot event like Dracarys!, both Astapor and Grey Worm are effects that remain on your board turn after turn, giving you a cumulative advantage. After all, even if you don’t kill an enemy character by reducing their STR, you may open the door to win challenges and let characters like Mirri Maz Duur (Calm Over Westeros, 93) or Quaithe of the Shadow (Tyrion’s Chain, 113) do their work. Across the continent of Essos, Daenerys Targaryen is gathering her army and calling her supporters to her side as she plans her conquest of Westeros. Whether you fight for the True Queen or you’ve joined the Usurper’s dogs, you’ll find plenty of new cards to enhance your decks in The Fall of Astapor! Look for The Fall of Astapor Chapter Pack at your local retailer in the second quarter of 2017.